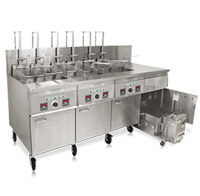 Three filtering systems - Safe & Easy® Central, Safe & Easy® Under Fryer and our Portable unit are availble for Instant Recovery® Fryers. There is one that is right for you. 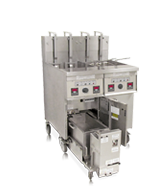 The Under Fryer Filter is contained within the fryer's cabinet, located directly underneath the fryer. 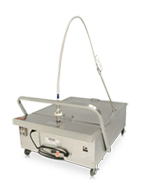 The portable filter can be easily maneuvered and rolled away for storage.